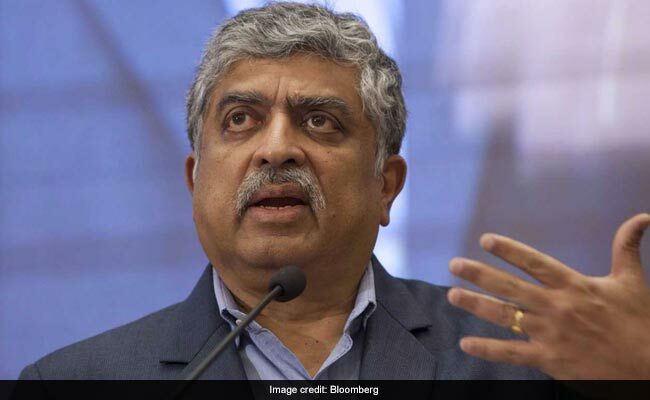 Nandan Nilekani not only welcomed the "landmark judgment", he reiterated that the "unique identity project is critical to the developmental goals of the nation"
Nandan Nilekani has always said that Aadhaar includes, it doesn't exclude. Nandan Nilekani, known as the architect of Aadhaar, had always been supportive of the national ID scheme. "Aadhaar will come out with flying colours," the former Unique Identification Authority of India (UIDAI) chairman had said amid privacy concerns. And today Mr Nilekani not only welcomed the "landmark judgment", he reiterated that the "unique identity project is critical to the developmental goals of the nation". Aadhaar includes, it doesn't exclude, he tweeted. "The resident was once again recognised as being at the heart of the project, and they have gained new rights that help them assert their ownership over their data," he posted on Twitter. Mr Nilekani added that all the analysis and safety tests have actually helped in developing a "better and stronger Aadhaar". "Aadhaar has undergone the ultimate scrutiny in the highest court, and a lot of recommendations have been incorporated. Through the democratic process of discussion and debate, we have created a better and stronger Aadhaar together," his next tweet read. When the whole country was apprehensive about the safety aspect of Aadhaar, the former UIDAI chief had advised naysayers to have faith in the scheme as "Aadhaar was here to stay". The Aadhaar programme launched by the Congress-led UPA government, but it has been "enthusiastically" supported by the current government led by Prime Minister Narendra Modi, Mr Nilekani, 63, non-executive chairman of software firm Infosys, had observed. He said, "I'm a big believer that if you build the right digital infrastructure, then you can leapfrog." The scheme, which was rolled out in 2010, began as a system to provide access to welfare schemes efficiently, but soon evolved into a mandatory ID for access to services like bank accounts, PAN cards, cellphone services, passport and even driving licenses. Today, the court while upholding the validity of Aadhaar cleared its use for access to welfare schemes but struck down attempts to make it mandatory for bank accounts, mobile phone connections and school admissions. In what became the second longest case with hearings over 38 days, the centre defended Aadhaar on several grounds -- the biggest being that it ensured proper distribution of benefits to millions and prevented siphoning of funds.